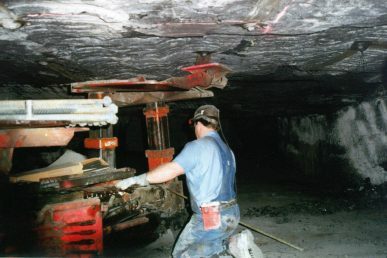 The U.S. Department of Labor’s Mine Safety and Health Administration requires reporting of injuries and illness sustained while working in mines in the U.S. But according to previous research, their reporting program, called the Part 50 program, did not effectively capture cases of injury in Kentucky, spurring concerns about underreporting in other states. Researchers led by Dr. Robert Cohen, clinical professor of environmental and occupational health sciences in the University of Illinois at Chicago School of Public Health, looked at Part 50 reports of illness and injury in Illinois from 2001 to 2013, and attempted to link each report to a corresponding Illinois Workers’ Compensation Commission case. Workers’ compensation cases that didn’t have a corresponding Part 50 report were considered unreported to the Part 50 program. The researchers identified 1,923 cases of injury or illness in the Illinois Workers’ Compensation Commission reports from 2001 to 2013 that were captured by the Part 50 program. These cases represented just 34 percent of the 5,653 cases of injuries and illnesses to mining employees identified by the Illinois Workers’ Compensation Commission database. They found that the Part 50 program did not capture about 66 percent of Illinois workers’ compensation cases among mining employees from 2001-2013. “Underreporting to the Part 50 program really hinders the U.S. Mine Safety and Health Administration’s ability to enforce safety and health standards,” Cohen said. Chronic injuries and illnesses were less likely to be reported to the Part 50 program than acute events, like accidents. “Ninety-four percent of chronic conditions, like pneumoconiosis, weren’t captured by the Part 50 program,” said Kirsten Almberg, research assistant professor of environmental and occupational health sciences in the UIC School of Public Health and a co-author on the paper. Mine size was also correlated with reporting. The lowest rates of injury and illness reporting were associated with employees working in the smallest mines. “The underreporting by small mines may be due to lack of resources or established workplace safety programs,” Cohen said.